Whether you want simple professional head shots and branding imagery for your business, a shoot to celebrate a milestone in your life, pregnancy, or updated family photos, it is my pleasure to provide for you an amazing experience you will treasure for the rest of your life! How do you want to be photographed? Let's meet for coffee, or have a chat on the phone to talk about your dream photo session. 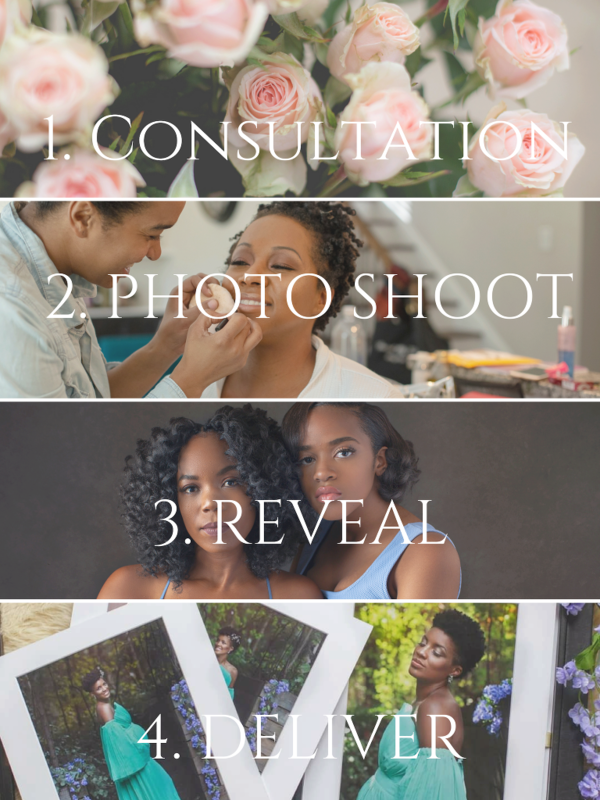 Let's get to know each other and together we will create a mood board to gather the details and inspiration for your shoot, as well as fully plan out wardrobe and styling. Our portrait sessions are carefully designed to be as unique as you are. 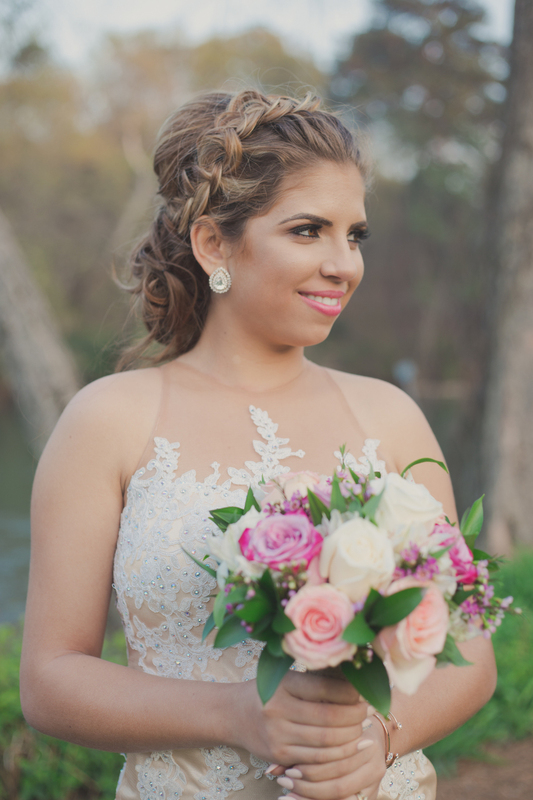 We take all the stress away by giving you an experience that you will never forget with hair, makeup and styling based on your personal style. I will guide you with easy posing to showcase your personality and complement your figure. I promise you that you will walk out of our session feeling fabulous with the most beautiful photos of yourself that you have ever seen! About 2 weeks after your shoot, we’ll meet up again. I’ll show you the best 20-25 images, fully retouched. This is where you choose your favorites and decide what you’d like to purchase. All portrait collections include both printed and digital images. Personal Branding sessions include digital only packages with add ons for social media branding and sizing. 4. Delivery: Within 2 weeks of your reveal, I’ll hand deliver your images. Seeing them in print is like a whole new reveal experience. You get to hang them on your wall, hand them out to loved ones, or cherish them in a keepsake box forever, and then come back to the studio again the next time you need a day of pampering, during your next milestone, or just to update those headshots. Your session fee of $275 includes optional professional hair & makeup, styling (based on your style) and the photoshoot time. You decide which photo collection you want to purchase when you see your fully edited photos during your photo viewing. You only purchase what you love. Photo collections start at $500 and go up from there. All photos purchased include the high resolution digital image. Please book your consultation to receive our full pricing guide. Let's get to know each other before your big day with a styled editorial engagement session! We will carefully plan a shoot that reflects the both of you and celebrates you as a couple so you can relive the joy of the months leading up to your wedding for years to come! If you are celebrating your anniversary, Let's spend an afternoon together dressed up and on the town to reflect, refresh and celebrate how far you've grown together as a couple and life partners! Your wedding day is such an exciting and important occasion. I want to be there, not only to document it but to be there as a friend. My style is fresh and vibrant, romantic and fun. I tell your story as it unfolds, capturing every detail and raw emotion of the day, leaving you with amazing memories to treasure for a lifetime. To learn more about my wedding packages contact me to receive your Wedding Welcome Package & Price Guide. Just because you are going to elope, doesn't mean you shouldn't have amazing pictures to capture the moments. Whether you are staying local at the courthouse, gathering with a few friends in the back yard, or going on a destination to the Islands, I will be there to capture your smiles and tears of joy on your unique occasion. Contact me to receive your Wedding Welcome Package & Price Guide. "Thank you Crystal for this experience, I felt so beautiful for our shoot, and love my photos ." "I have never felt confident in front of the camera, but this team made me feel so naturally beautiful and my images turned out amazing!" "Our wedding was the most special day for us, and these photos bring back all the feels, I am so happy!" Question 1 // What if I can not make it to an in person reveal? We strongly encourage in person reveals so that you can truly see yourself in photos beyond the screen. If for some reason you are unable to do so, you can schedule an online reveal via webinar. Question 2 // What services do you offer? I offer multiple genres including: glamour portrait, headshots and personal branding, special events, weddings, maternity, fresh 48, prom, and birthday parties, as well as commercial photography services. Portrait sessions can be held in studio or at your home with my mobile studio. Engagement sessions are held at locations that hold meaningful symbolism to the couple. We can choose up to two locations so long as they are in resonable distance from each other. Question 4 // What if I prefer my own Hair and Makeup Artist? Question 5 // How long does it typically take to get images? For Portrait and Branding sessions allow 2 weeks processing and an additional 2-3 weeks to receive any print orders. For weddings and events 6-8 weeks processing.